We have already got accustomed to it: the evolution of technology makes that we may be forced to renew our mobile phones more frequently than is strictly necessary (if we stick to an obsolete real components), and it seems that a technology that is as changeable as the tv has begun to follow the same steps. In this sense, Samsung has seen a business opportunity in a subscription model by which customers get a new tv every two years by paying a fixed amount per month. From the point of view of the customer, the benefits are clear: you’ll always have a modern tv, and with the new technologies that are finding their way, but yeah, always of the same manufacturer. But… how exactly does the program Samsung Upgrade? You are then making it clear that, for the moment, it is only applicable in the united States, although we think that possibly bring this program to other countries at some point. It all begins when the client joins the program and does so without having to get rid of a lot of money in the start-up: you must acquire a tv set of the company attached to Samsung Upgrade, but this will be done through a zero-interest financing to 24 months. What happens when you have passed those two years? 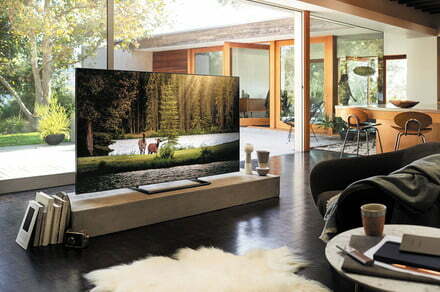 The customer may opt to stay with the tv already funded, or, upgrade to a new model. If you decide for the latter, the company refinanced the purchase of the new model, but minus a 33% of the value of the tv earlier; as you can see, it is the closest thing to a renting a car. The subscriber will, retired at home the old tv and installed the new as if nothing, and the new tv will also be funded for other additional 24 months in the same conditions. For Samsung, this financial effort comes cost-effective as it manages to retain these customers and ensures that you do not go to competition. The Korean giant also offers the option of financing to 36 months instead of two years, for those who may not be as important to renew the tv so often. Is it worth the program? If the customer has made clear that its brand is Samsung and is willing to change tv every two years, without a doubt.